I liked this cake a lot. 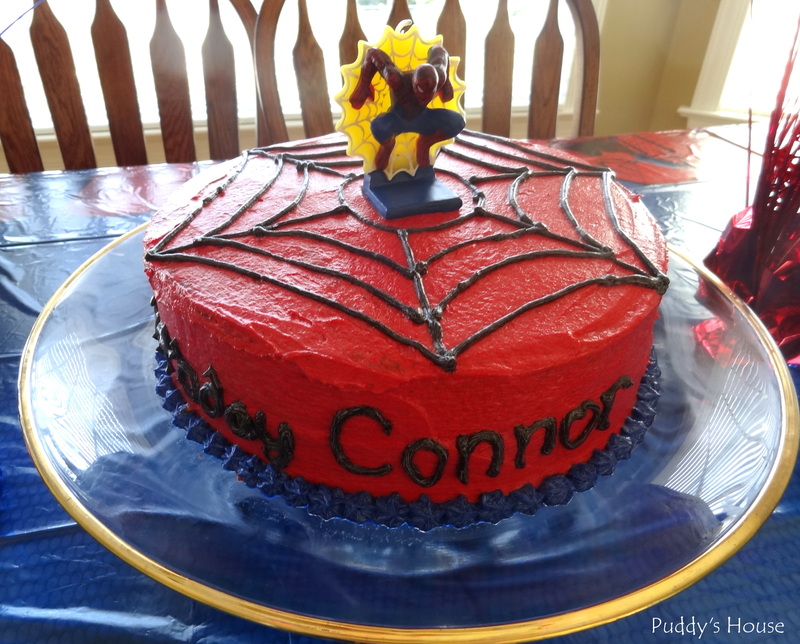 It was colorful, fit with the Spiderman décor, but was not crazy-complicated. Plus, I showed Connor’s Mom and she had found the same one on Pinterest and liked it too!! The only supplies I had to buy were a jar of blue and red food coloring. I used the Wilton gel, because I’ve learned when you want very saturated colors, you need the gel. I used my traditional Crazy Chocolate Cake and White Icing recipes. I added the whole jar of “No Taste Red” to a bowl of icing to get a deep enough red color. It only took about half a jar of blue to get the color right. And, then I got to work decorating. It’s definitely not perfect, but I was happy with it. I just mixed my leftover red and blue icing together and added a few drops of green and yellow to get the color for the web and lettering. 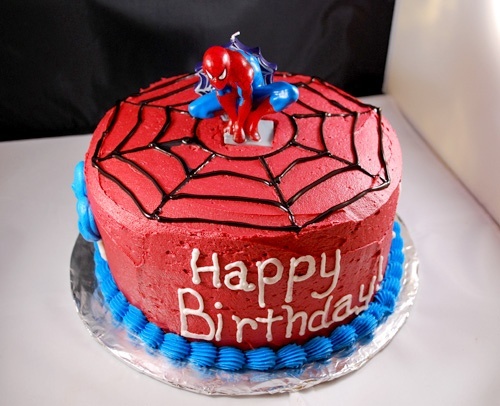 Somehow the icing looks like it is spidery with the hints of white in the dark. I couldn’t get that look again if I tried, but with this cake I knew it would work. And, the most important part of the cake was it tasted delicious! 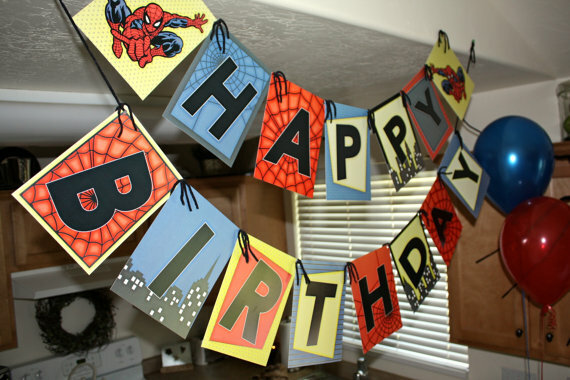 The only other décor I found time to make was a birthday banner. I found this one from Etsy on Pinterest. It looked so fun, but I was not about to pay $30 for a banner that would be hanging for a few hours. I tried to find some Spiderman paper at the craft store, but I did not have any success. I almost gave up on the idea, but decided I could just make it simpler. 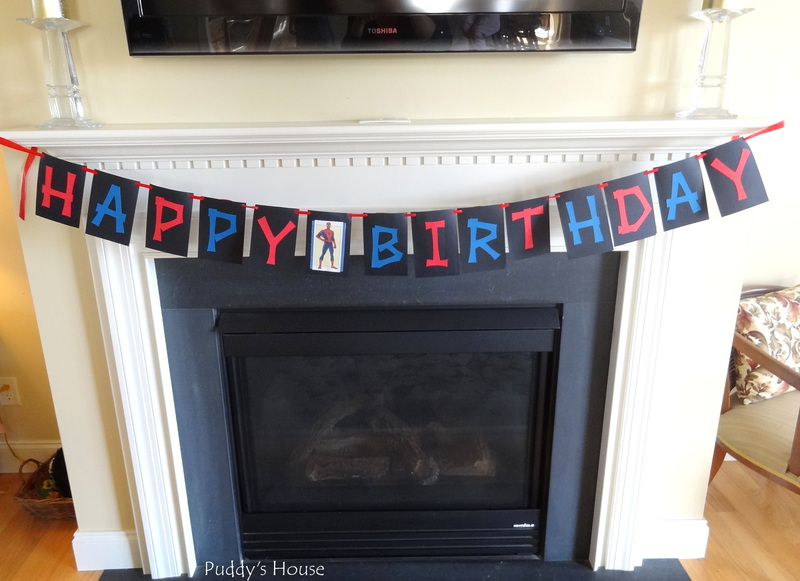 I used my Cricut and cut out Happy Birthday in alternating red and blue. I cut out black rectangles and punched holes in the upper corners. I attached the letters to the rectangles and then began to string them on some red ribbon. I just attached a plain rectangle to separate the words. The plain rectangle didn’t work for me, so I found some printed blue paper in my stash. That still wasn’t enough, so I googled Spiderman images and just printed one out on regular paper. 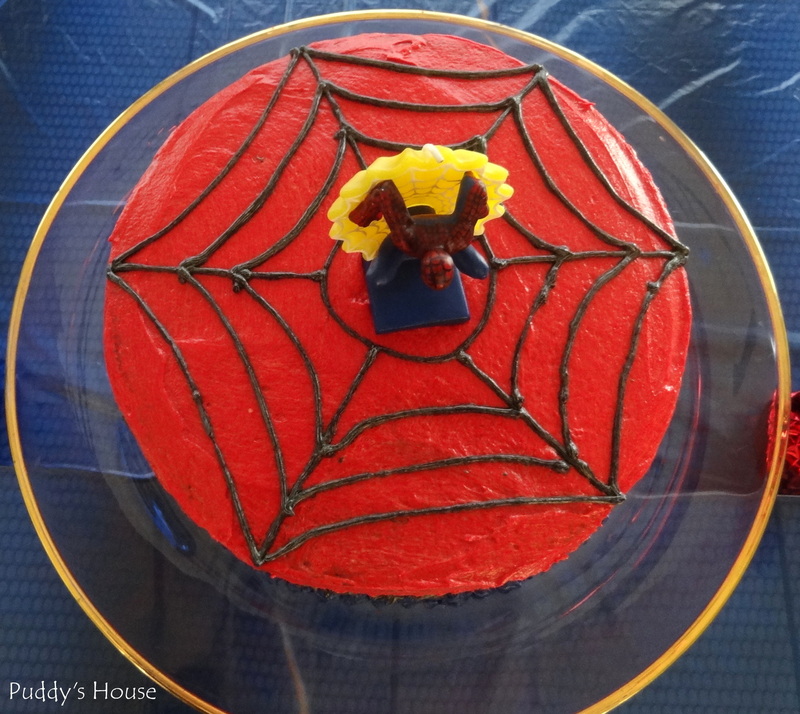 Fortunately, it was the perfect size Spiderman. We hung it on the mantle to add some décor to the living room. 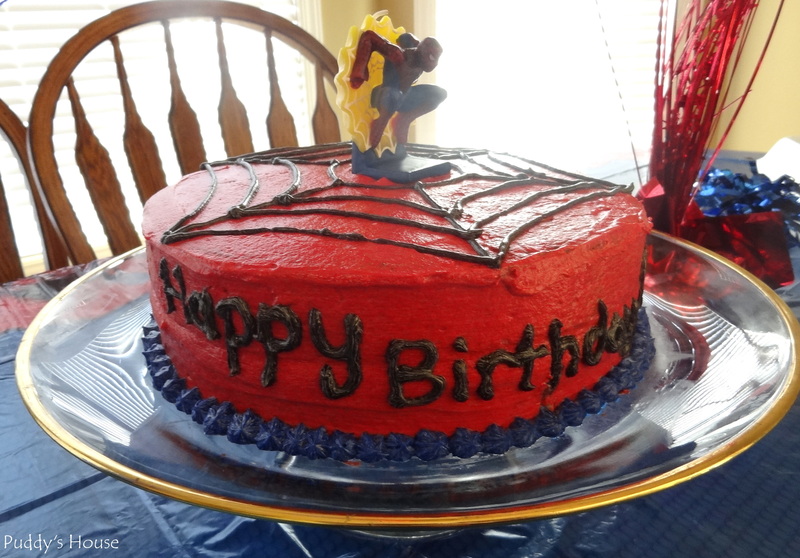 Overall, I was pleased with the cake and banner, especially with the limited amount of prep time I had. But, the most important part was that that Birthday Boy had fun! !